Too much stuff? 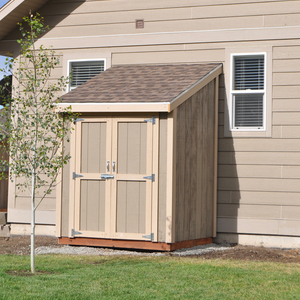 Get organized by building this amazing, easy to build storage shed! In this tutorial DIY PETE will walk you through the basic steps involved in building a DIY backyard shed. 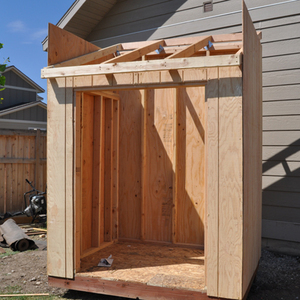 This backyard shed project will teach you new skills geared towards building structures. 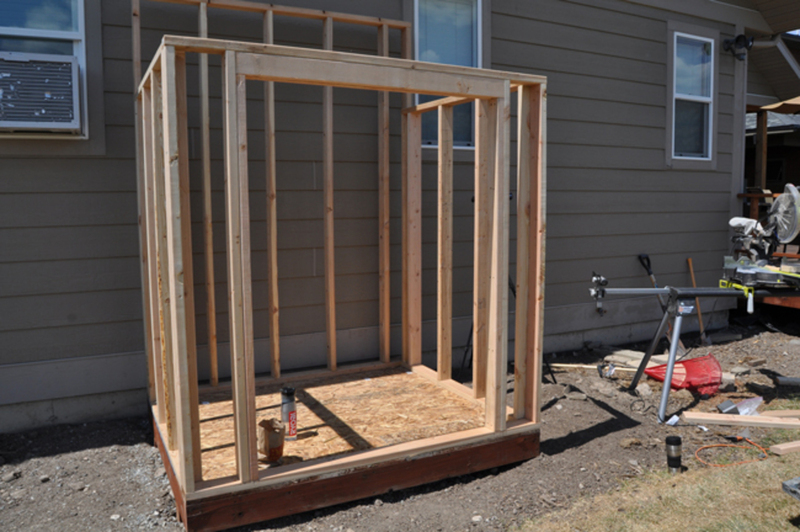 You'll learn how to build a floor, frame walls, add siding, roof, shingle, and finish a simple four walled building. This specific shed is 6 feet wide by 5 feet deep and is perfect for storing yard tools, a push mower, snowblower, and other things taking up valuable space in your garage. You'll be able to customize this to any size you need. 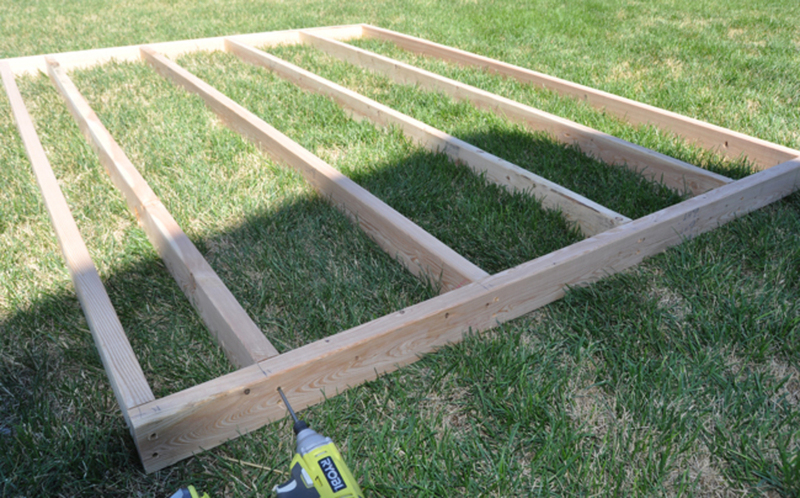 Build a floor frame out of 2x6 Lumber. 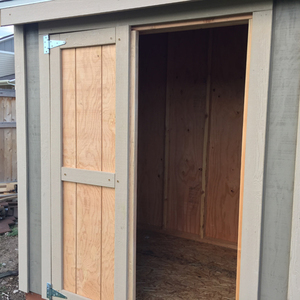 The base size for this specific shed is 6 feet wide by 5 feet. 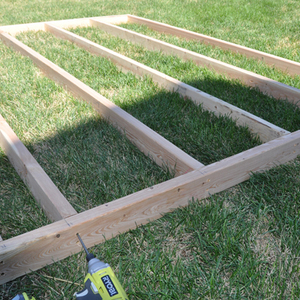 Cut plywood to side and attach it to the 2x6 frame using screws or nails. 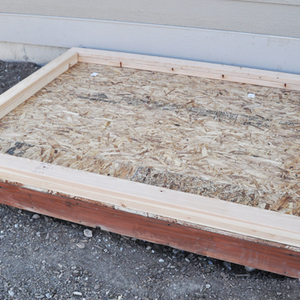 Attach two 4x4 boards to the bottom side of the 2x6 floor frame to act as skids. 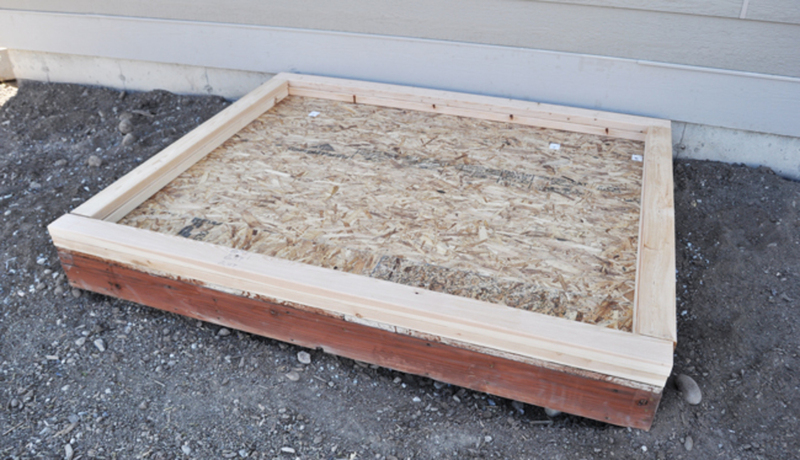 This skids will allow the shed to be placed on a compacted gravel area in a yard and does not require a concrete slab or special foundation. Cut the bottom and top plates for the walls. The front and back plates are cut to the full width of the platform. Measure and mark where the studs will be placed for the project. We measured so the studs are at 16 inches on center. Frame all four walls. Attach the bottom plate to the top with the studs between. 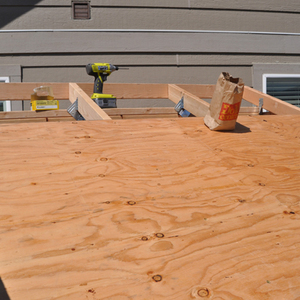 Attach the walls to the floor / floor joists and connect the walls to each other at all four corners. Add the front wall with the frame for the door. 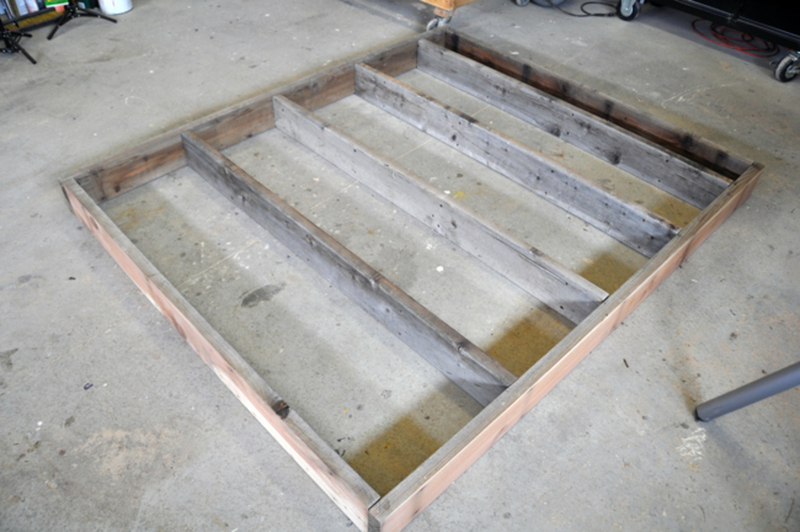 Next, attach a second top plate to strengthen the shed. Measure for and cut the rafters. The front and back will need to be cut at the same angle parallel to each other. Attach the four rafters to the frame. To make this process simple and to eliminate needing to cut a bird's mouth, I used hurricane clips for this process. The rafters will be places flush with each side and at 24" on center. 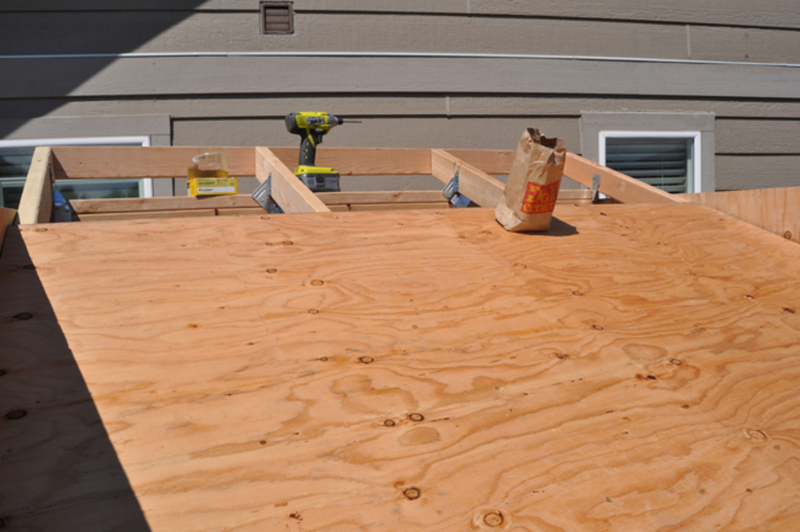 Attach sub facia ( a 2x4 board ) to both the front and back of the rafters. 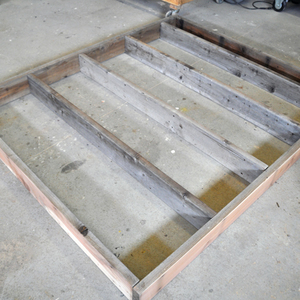 The front 2x4 will sit slightly below the rafter so the plywood for the roof will sit flush. 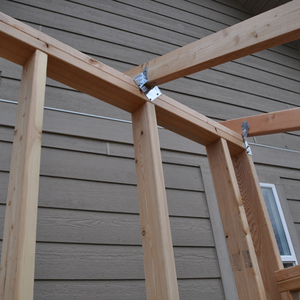 Next, attach siding to the wall frame using nails or screws. 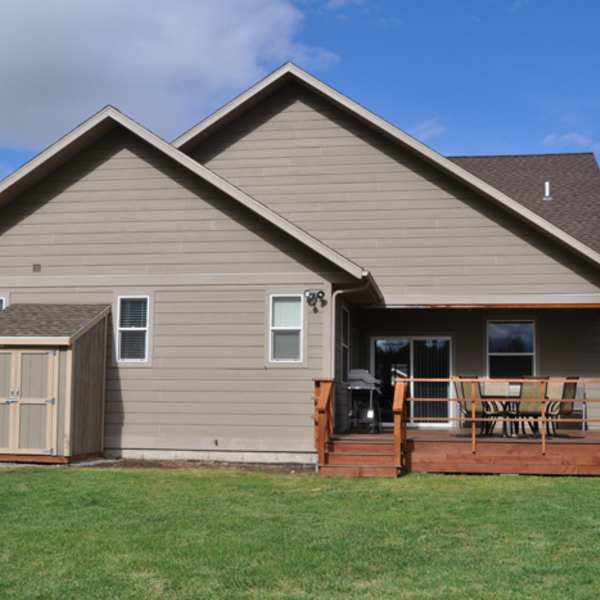 Use a circular saw to cut the siding down to size. 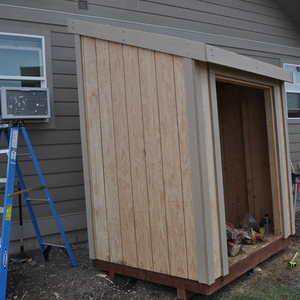 This is what the shed will look like once the siding boards are installed. Cut plywood to size for the roof. 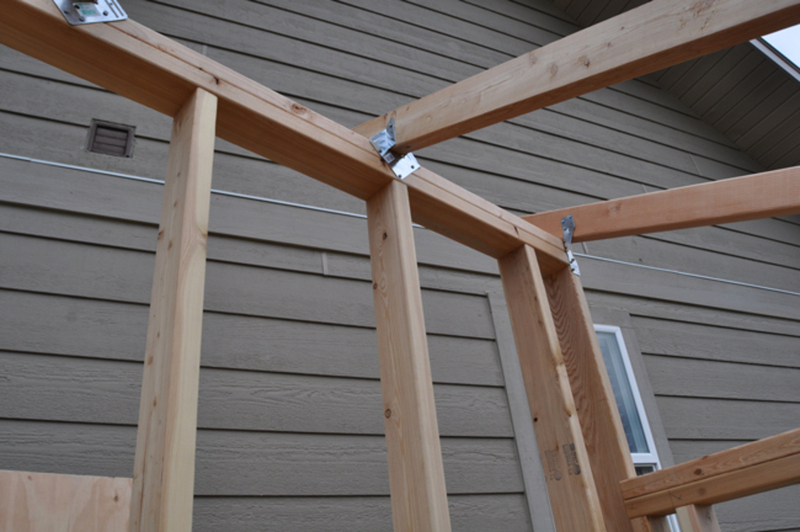 Attach using galvanized nails or exterior grade screws. Attach 1x4 trim at each corner and around the door. Attach 2x6 trim / facia around the top side. 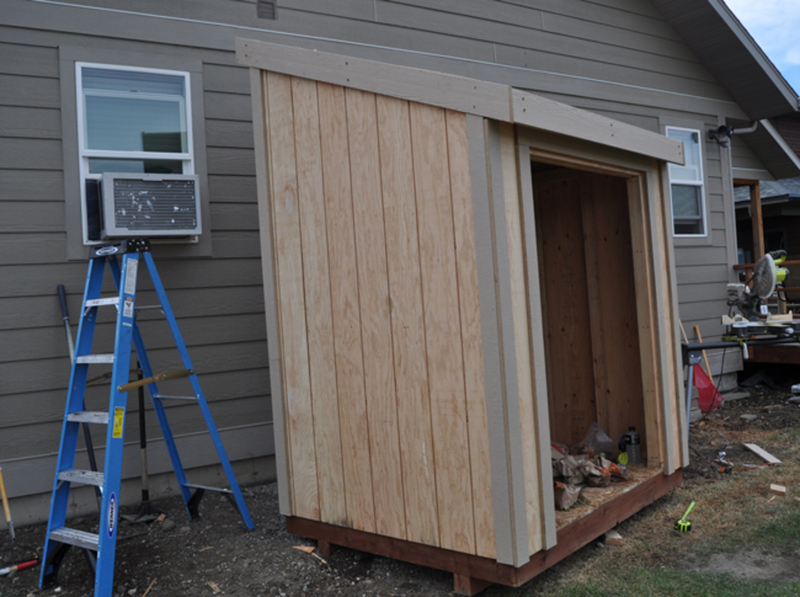 Add drip edge on the front side of the shed. 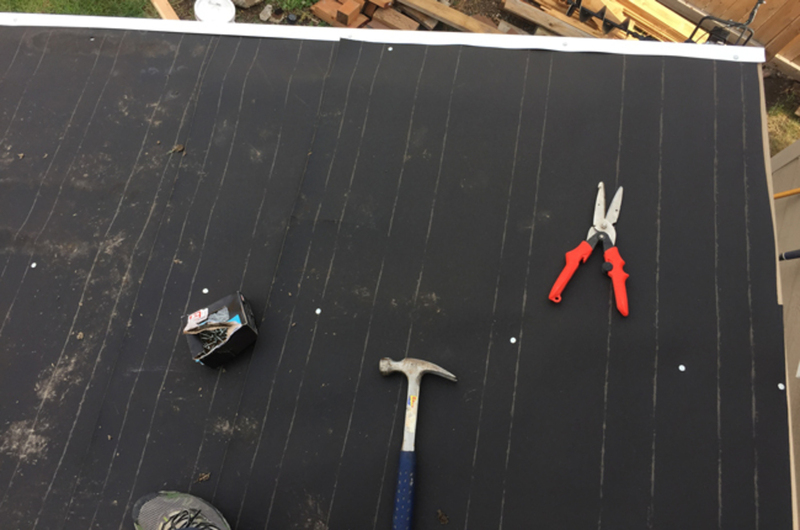 Attach tar paper to the roof using nails. Cut to size with a razor blade. 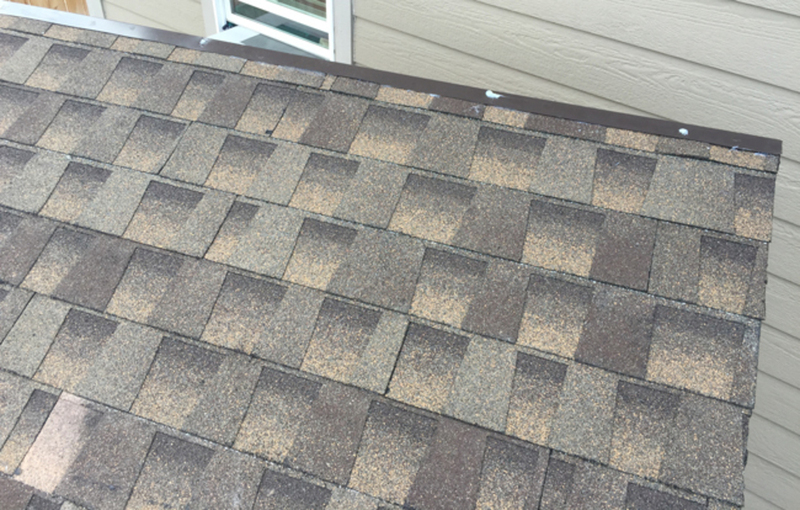 Add drip edge to the 2 sides after the tar paper is laid down. 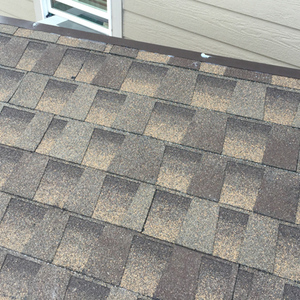 Shingle the roof. 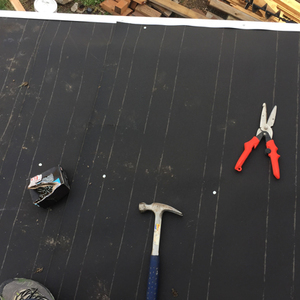 Attach using roofing nails. 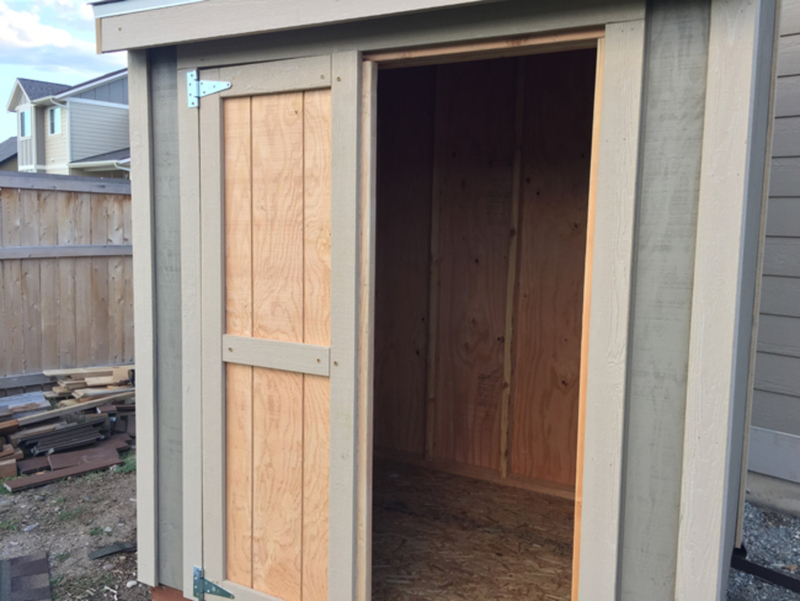 Add flashing to the back side of the shed. 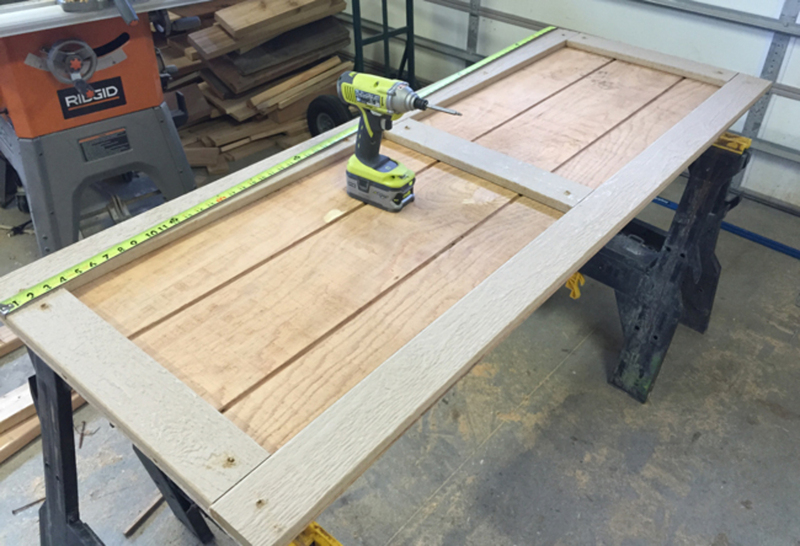 Build the door frames out of 2x4 boards. 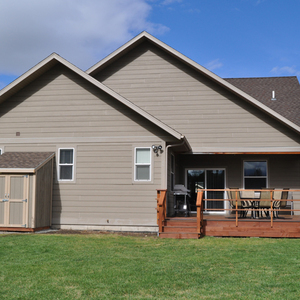 Attach siding and 1x4 trim to the front. 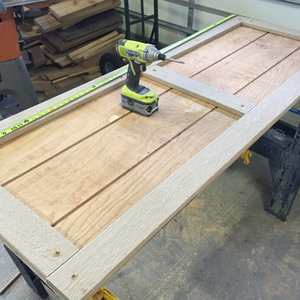 Use hinges to secure each of the doors. Add other hardware. Install one door at a time. 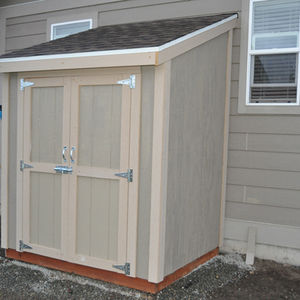 Paint or stain your brand new yard shed. Enjoy your new shed! Too much stuff? 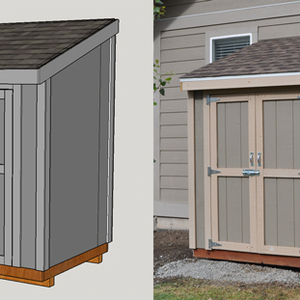 Get organized by building this amazing, easy to build storage shed! 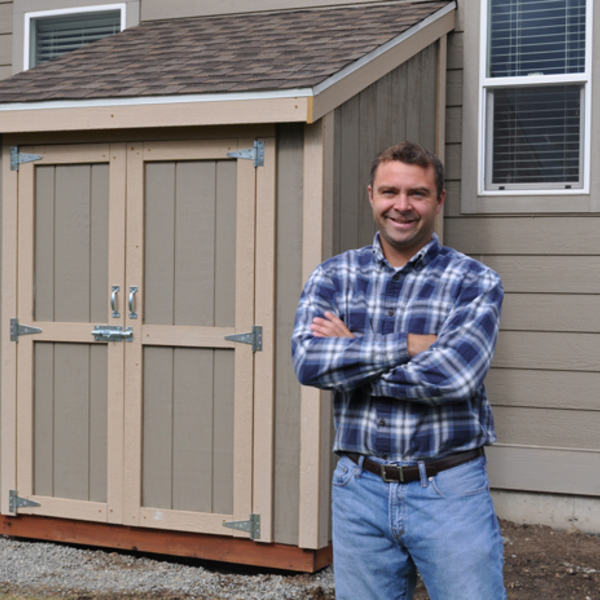 In this tutorial DIY PETE will walk you through the basic steps involved in building a DIY backyard shed. 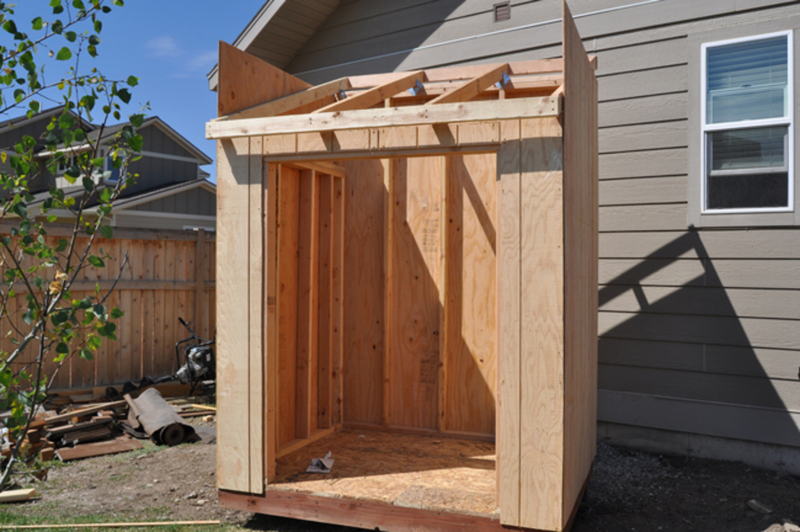 This backyard shed project will teach you new skills geared towards building structures. 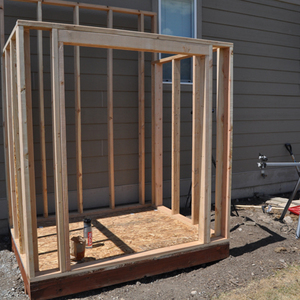 You'll learn how to build a floor, frame walls, add siding, roof, shingle, and finish a simple four walled building. 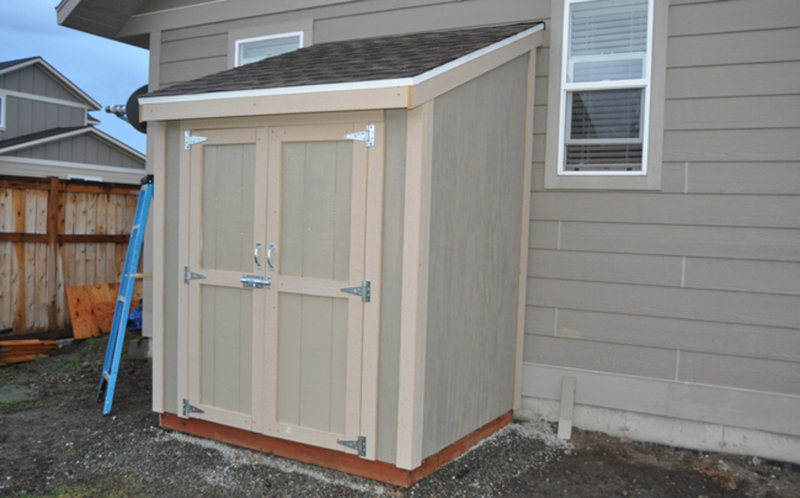 This specific shed is 6 feet wide by 5 feet deep and is perfect for storing yard tools, a push mower, snowblower, and other things taking up valuable space in your garage. You'll be able to customize this to any size you need.